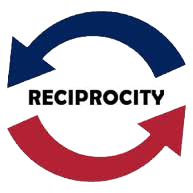 The “law of reciprocity” is so powerful! If everyone would focus on how they can “help” others…the rewards come back ten fold. The universe never runs out of love, smiles, rewards…abundance! Previous post Success Tips – Write Your Own Fortune Today! Next post Success Tip – Positive People Rock!! mortgagecrow.com Thank you ever so for you blog.Much thanks again. Fantastic.